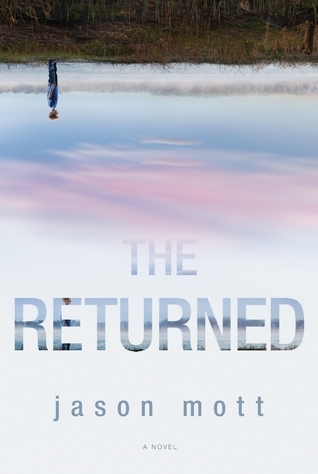 My review of The Returned is up at the Atlantic Highlands Herald. You can read it here. The story: There isn't a story here really. 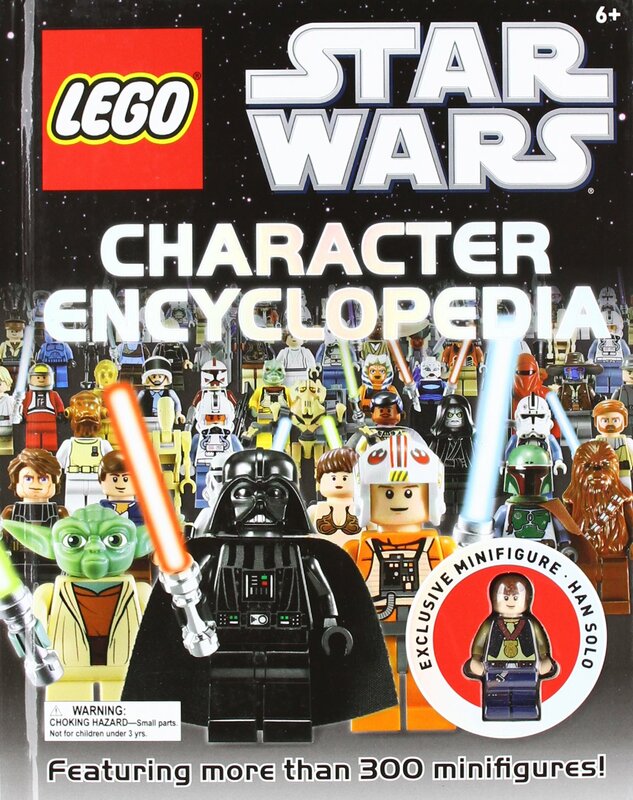 This book is a guide to all of the Lego Star Wars characters and play sets. It does, however, give some background information about each character. 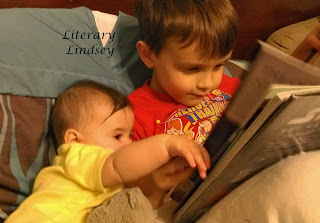 Thoughts from David: Well, here we are, reading another Lego Star Wars book. It's been a lot of time since we read one of those. Ok, there's at least 200 pages in this Lego Star Wars book. I like that there are so many Lego sets in here, like the Hoth Rebel Base. Now, let's get on to my favorite set! In 1929, the town of West Table, Missouri is literally rocked when a popular dance hall explodes. No one is ever arrested for the crime, but there are many suspects. Was it a mobster looking to silence someone forever? Did the band of gypsies wandering through town have something to do with it? Or was it the local minister who thought the dance hall was a den of sin? Alma DeGeer Dunahew thinks she knows who is responsible. Her free spirited sister Ruby was having an affair with a married man and Alma thinks that relationship led to the death of every person in that dance hall, including Ruby. The Maid's Version is presented as a sort of mystery, but it's more of a case study of small town life. This short book features small chapters, each of which focus on different citizens of the town. This has two effects - it really gives the readers a tapestry of the many people living in a small town, but it can also be quite jarring to have to place a new person each time you begin a chapter. Alma is getting old and finally gives her grandson permission to reveal what she believes happened on that fateful day. Her confession bring family secrets to life, but it also brings closure to a family that was devastated by the explosion and its aftermath. This book is one that should be read in a straight shot because it makes it easier to keep track of the many characters and their connections. Mr. Woodrell really manages to capture the unhurried feeling of a small Missouri town in his characters, in his pacing, and with his language. This is not a mystery with any urgency. Instead, we sit alongside an elderly relative who will eventually get to her point...but she has a lot to tell you first. For a story that is finally going to clear up a mystery, the actual reveal seemed sort of haphazard to me. Part of this has to do with the abundance of characters. It's difficult to feel as if you really know or care about any of these people, including Alma, Ruby, and the person responsible for the explosion. While many readers may guess who the culprit is, the events leading up to the explosion felt random. It almost seems as if Woodrell picked plot devices out of a hat. 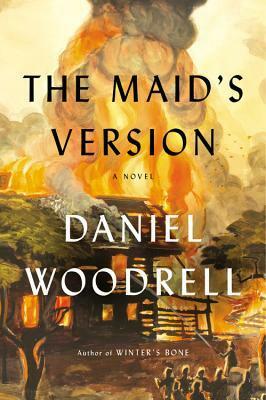 The Maid's Version is a good pick for readers who like certain types of stories - multiple points of view, a mystery that has been obscured for years, and a look into the eccentricities and secrets of small town residents. For a short book, it can be a slow read as the reader must untangle the webs of Woodrell's prose, the character's relationships, and the many threads of this mystery. Ah, where did this week go? 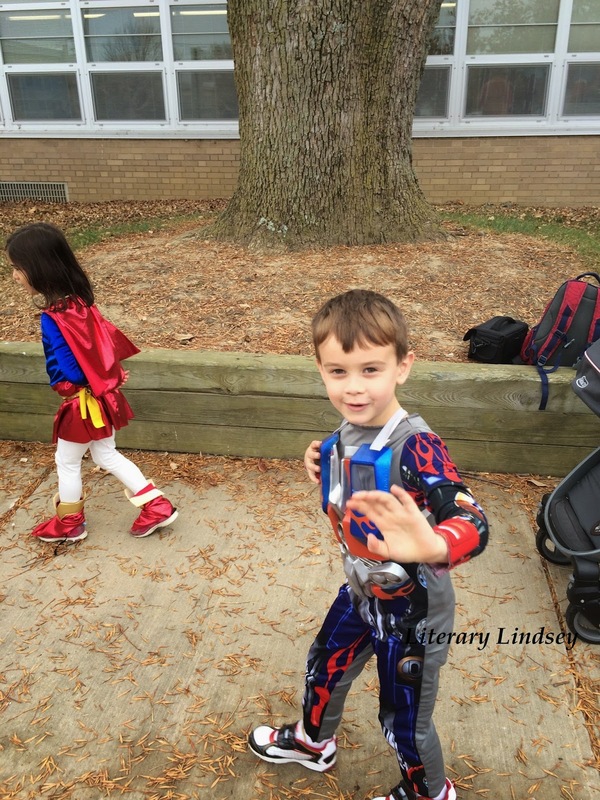 David had some half days because of parent/teacher conferences. We had the normal schedule of meetings and rehearsals. 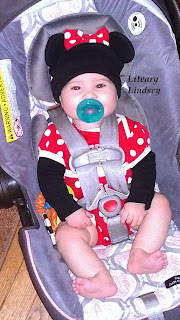 Everyone was feeling a bit under the weather this weekend, including baby girl who is the proud owner of two teeth. I feel like everyone could use a nice long nap! Anna Oh is ready to embark on a new stage of life. Her children are grown, she has separated from her husband and she is about to marry Viveca, her art dealer. The wedding will take place in Three Rivers, Conneticut, where the Oh children grew up. The family is in shambles - oldest daughter Ariane has made a giant decision without the input of her family, Andrew is engaged to a very opinionated young woman, and Marissa is trying to make her way in the tumultuous world of acting. Annie's ex-husband Orion is unsure where to go next, as his marriage and career have both ended. The family's reunion will unearth secrets from each of their lives, as well as long-buried secrets from the history of Three Rivers itself. Wally Lamb manages to take a very typical plot point - a family coming together for a wedding - and turn it on its head. The characters in this story are so well developed. That could have something to do with the almost 600 pages that it takes to tell the story, but I think it has more to do with Lamb's craftsmanship. Each one of the characters feels nuanced and alive. You will care about their stories because they feel like people you know. Mr. Lamb has two incredible gifts as an author. The first is to make connections between the past and the present. While the primary narrative is about the Oh family, we also learn about the history and people of Three Rivers, Connecticut. The Oh family home was once home to another artist who died under mysterious circumstances. This author succeeds at making dual story lines equally interesting and making them converge in interesting and surprising ways. The second thing that Lamb excels at is bringing humanity to very flawed people. There were two characters in this book who, at some moments, really made my stomach turn. These people do horrific things and they aren't excused for their actions. But you do have to sit with them for a while and hear their stories to see the ways in which abuse engenders more abuse. In reading this book, we find that sins of omission can be just as devastating as willful acts and that everyone is guilty in some way. 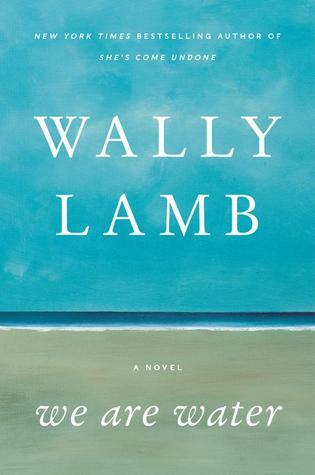 Wally Lamb is an incredibly talented writer. Reading one of his novel is not a casual venture. It is a choice to get to know a set of characters and immerse yourself in their lives, their pain, and their joy. We Are Water is a fitting addition to Lamb's canon. William Bellman is a fortunate man. His business is thriving and his family is large and happy. One day, his fortune turns and each person he cares about is taken from him. At each funeral, he sees a mysterious man that no one can seem to place. After his wife's death, he drunkenly visits the graveyard where he finally speaks with the mysterious man. He can't remember the bargain he made that night, but he knows that things start to go his way again. His daughter Dora survives the disease that took the rest of his family and Bellman has an idea for a new business venture, one that cannot fail. But what did he promise in return for his success? I adored Setterfield's debut novel The Thirteenth Tale. It was the perfect blend of creepy and literary and it is a favorite story that I will read over and over again. I was so excited to see that Setterfield had written a new novel and I thought that a ghost story would be perfect for a Halloween read. Unfortunately, Bellman and Black is not a very good ghost story. It's not at all frightening and the mysterious man only appears on a handful of pages, although his presence is felt throughout. I saw someone refer to it as a parable, and I think that is a much better description of this novel. The characters do not feel particularly fleshed out. While there are a lot of characters who surround William, we spend very little time with any of them and so we don't care about them very much. William himself feels rather flat. We experience his emotion, especially when his loved ones begin dying, but it's still difficult to connect with him. Perhaps this owes something to the meticulous nature with which Setterfield describes his work; she writes in great details about both of his businesses, which leaves little time to really learn about the man who runs them. Throughout the story, we see and learn about the mysterious birds known as rooks. The books opens with William as a child. He takes what his friends believe to be an impossible bet and attempts to hit a far-off bird with his slingshot. He succeeds and the bird falls to the ground, dead. The rooks are the storytellers, the one who watch William for his whole life. I can see what the author was trying to do with this, but it never quite seemed to fit with the main narrative. Bellman and Black is not a bad book. But The Thirteenth Tale was such a fascinating and well-crafted story that this book falls very flat in comparison. The greatest problem is that subtitle. If it had not been marketed as a ghost story, I think that this book would have been better received. 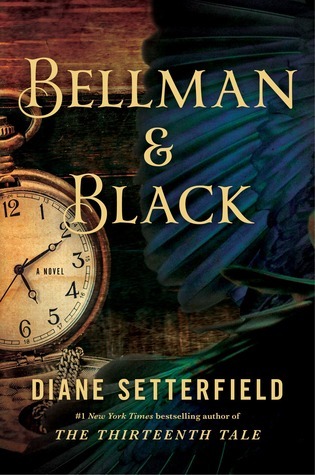 There is no doubt that Diane Setterfield is a very talented author. Unfortunately the lack of characterization and the bizarre marketing decision leave this book far behind her previous novel. The story: Anakin Skywalker is strong in the ways of the force. He's a good pilot and great with a lightsaber, but he's a bit of a loose cannon. His quick temper worries his teacher Obi-Wan Kenobi. When the pair is on a mission, Anakin and Obi-Wan become separated. Can Anakin and three other apprentices save the Jedi Masters? Mama opines: It's confession time. I only read a few chapters of this with David. The rest of it was all on his own. But I have to confess that while I'm a bit taken aback by my little boy's love of battle, this Star Wars fan is proud to be adding a new little Jedi to the bunch. Thoughts from David: Well, another Star Wars book read today. Now let's get on to my favorite characters. #1 - Anakin Skywalker. #2 - Obi-Wan Kenobi. #3 - Soara Antana. That's all. Now, I present my favorite thing from the story. I like that they go on a mission. Favorite part: When Anakin slices seven droids in a row with one swing! Cat is a normal girl in many respects. She has a father and a mother. She loves to play outside. She is insatiably curious. But Cat doesn't go to school like other children. Instead, she has a tutor who happens to be an android. 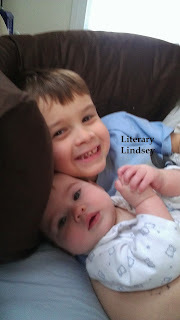 Finn is her teacher, her best friend, and the one constant in her tumultuous life. As Cat grows up, will she find a way to reconcile her feelings for this robot who supposedly cannot ever return her love? 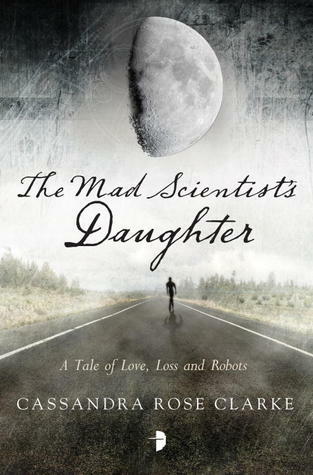 For me, The Mad Scientist's Daughter took a while to find its footing. Because this story follows Cat for so many years, it is jarring at times to jump from a few days when she is five to an event several years later. I understand that the back story is important, but I wonder if there was a better way to convey it. Once we get to Cat as an adult, the story takes off in that wonderful "can't put it down" sort of way. This minor issue aside, I really enjoyed this story. Clarke explores what it means to be human in a new and interesting way. Cat is a complicated character and she is not instantly likable. She sometimes makes really terrible decisions, even with the knowledge that the consequences will be severe for herself or others. 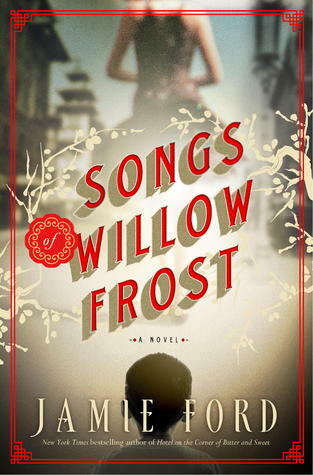 It's a bold decision to make the protagonist of your novel someone who is often selfish and shuts off her feelings, but it creates a great contrast between Cat's reluctance to connect with the people in her life and Finn's confusion over how much he can feel. This novel is marketed as sci-fi and it is that, to some extent. We read briefly about the condition of Cat's world and it is obviously a time that is a bit different from ours, since androids are a regular part of life. But there isn't a lot of time spent on the ramifications of technology or how their society came to be. This novel is really a story about love and relationships. The Mad Scientist's Daughter was a pleasant surprise. I wasn't sure this book would work for me, but Clarke's writing won me over. She manages to take a selfish, angry character and make her interesting and someone you root for in spite of her many failings. This story reminds its readers of the importance of love in every time and place. Jessica Spreight is an anthropology student in 1960s London. She is a rising star among her peers, excelling at her work and garnering the praise of her professors. One professor in particular is very taken with her and she ends up having his child. Anna is not a usual baby - she is lovely and always cheerful, but it is clear she will never become a functioning adult. The Pure Gold Baby is an unflinching look at a mother trying to raise her daughter and the community that came together to support them. I had a really hard time reading this book. The story could be interesting - a single mother trying to raise her child with special needs, but Drabble places the readers at a distinct distance from the characters. The story is narrated not by Jessica or Anna, but by a friend. She relates their story, as well as many of her own, in a flat manner. It almost feels as if we are reading an anthropological study instead of a novel. We learn about the characters, but always from a safe distance. Nellie states that Jess doesn't know that she is writing down her story. She doesn't think that she will like it or that she will ever ability tell her what she has done. She never states exactly why she felt the impulse to write the details of their lives.That bothered me a lot and as I kept turning the pages, I was waiting to find the impetus for this book. We never find out and I couldn't figure out why the narrator considered it vital or why I should find it important either. The book does look at the interesting ways in which society changes over a lifetime. We see the evolution in care for the disabled and the ways that being a wife and mother change and continue to stay the same. I was usually interested, but I was never invested in the characters or what was happening to them. 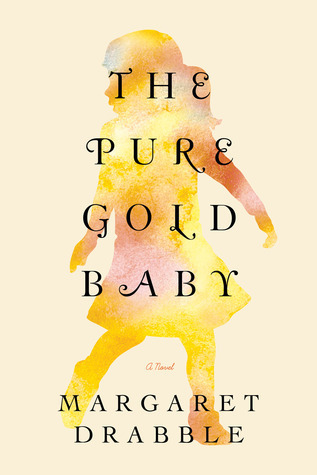 Margaret Drabble is a writer who is respected and revered by many readers and other writers, but I was underwhelmed by The Pure Gold Baby. The story: Boris lives with his mom and dad in a bus that used to travel around the world. Now it stays safely parked in their yard. One day, the bus starts with a jolt and Boris and his family are off again. He discovers that you don't need to travel to Africa or China to go on an amazing adventure. 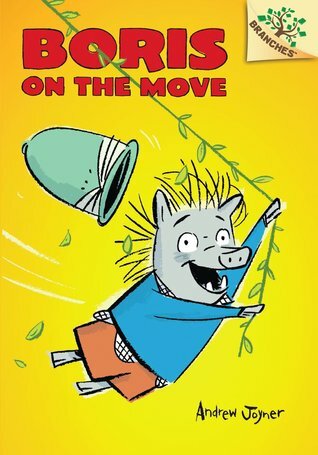 Mama opines: This would be an excellent choice for a first chapter book for your little guy or girl. The chapters are short and there are plentiful illustrations. The characters talk by bubble, which will be familiar to children who love comic books. I know a book is a winner when David is begging me to get the rest of the series as soon as he finishes the first book! Thoughts from David: Boris is a monster who longs for adventure. He is very excited when the bus he lives in starts to move! Then they start driving and then they slow down, turn off the road, and stop. Boris is very creative. He also hopes that one day he can go on another adventure. Favorite part: When Boris finds a kitten. Jesus and Feminist. Those two words don't usually spend a lot of time together. Feminism is often viewed as anti-religion and it seems as if there is no place for feminism in the generations of patriarchal tradition that are foundational to the church. 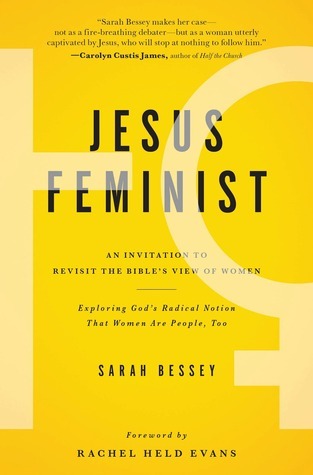 But Sarah Bessey argues that Jesus was a feminist, that Christ himself challenged the women he encountered to use all of their gifts and to come and follow Him. She invites us to stop arguing and share our stories with each other. Through our stories and our honesty, we will find unity and draw closer to the God who made us as men and women. This book is perhaps best described as a warm hug from a very smart and very compassionate lady. In the introduction, Bessey invites you to lay down your tightly held ideas about what it means to be a woman in the church. Instead, she takes your hand and leads you outside to share a good bottle of wine and dig your toes into the sand as you share your story of the ways you have been hurt or pushed aside, the people who have been Jesus to you, and the moments when God found you and loved you at your most vulnerable. Although Sarah has described herself as a "happy clappy" Christian, this does not mean that she has not done her research. She examines the moment when Jesus spoke to women, when he healed them and when he taught them alongside his male disciples. Bessey even tackles those troublesome passages where we read that women should be quiet in church and are not allowed to teach. She does so with a level head and in the context of its time and place, the other books that accompany it in the Bible, and the Abba God who inspired it all. Jesus Feminist does not limit itself to the Americanized churches that we find on our street corners. Bessey points out that the world fails women over and over again, by limiting them, by denigrating them, even by murdering them. Followers of Christ should be the ones to change the broken system, not the ones contributing to it. We are challenged to be a voice for justice for men and especially for women all over the world. It sounds cliche, but this book made me laugh and it made me cry (all within the first ten pages). Best of all, it challenged me to rethink some of the most controversial and highly debated sections of Scripture. If we believe that God is the God of love, then he loves women too. He created men and He created women and He has big plans for us all, if we are willing to lay down our petty arguments and precise definitions and just walk together in love. With Jesus Feminist, Sarah Bessey has given us a gift - an opportunity to share our stories and learn how to better love God and each other. This was a crazy busy week! 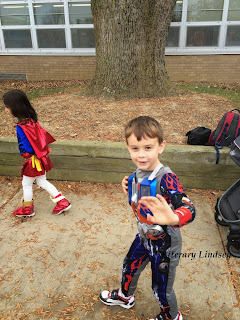 There was Halloween of course - I helped out with the party in David's class and we went trick or treating. We also had a friend's birthday party, a church potluck, and all of the other stuff that comprises a week! And because I like you all so much, here are some cutie Halloween pictures. I give you Minnie Mouse and Optimus Prime, respectively. The Mulvaneys are a blessed family. The family business is doing well and their home is filled with the loud, happy chaos of many children and animals. Mike and Corrine are proud and supportive of their children and each one of the kids has their own special place in the family. Michael Jr. is the oldest and a star athlete, Marianne is the only girl and a beauty, Patrick is obsessed with science, and Judd is the baby of the family. The family is respected in the community and their futures look very bright. But their happiness comes to an abrupt end when something terrible happens to Marianne. The family is ripped apart and it seems that only a miracle could bring the Mulvaneys back together. This is my first time reading a Joyce Carol Oates novel and it seems less like reading a book and more like an immersive experience. 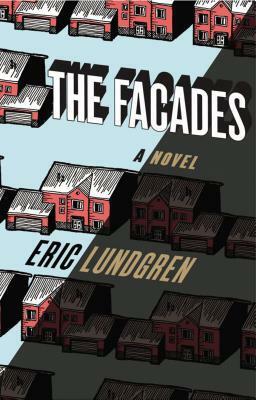 Oates is so meticulous in creating both her characters and her locations that you feel as if you are sitting off to the side watching the family drama take place. This book has a particular resonance with current events, although it was written almost two decades ago and takes place in the 1970s and 1980s. In all this time, we haven't learned how to care for victims without exploiting them further or how to support our neighbors when they need us the most. The members of the Mulvaney family make some truly terrible decisions. But perhaps it's an indication of how invested you become as a reader when you find yourself saying out loud, "Oh no, don't do that," and "Really? That's how you are going to react?". The Mulvaneys have the capacity to wound each other as only loved ones do and they wield that power brutally. As Judd narrates, he realizes even his own inability to really convey the events as they happened. He knows that "....nothing between human beings isn't uncomplicated and there's no way to speak of human beings without simplifying and misrepresenting them." This is a long book and it often feels that way, if only because Oates loves description. You will be well acquainted with every single inch of the Mulvaney farm by the time you are done. This story is a very slow burn, which turns off a lot of readers. I think you have to approach it the way you would a Charles Dickens story or a big old Russian novel. These are characters that you are going to spend a long time with - for them, it's a lifetime even if it's only a few days for you. 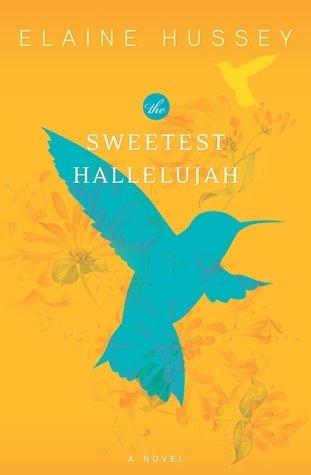 This novel is perhaps best described as a family saga or an American tragedy. Because the Mulvaneys had everything, their downfall is that much more tragic. Their inability to pull themselves back up and the unwillingness of their community to help them is painful to experience. 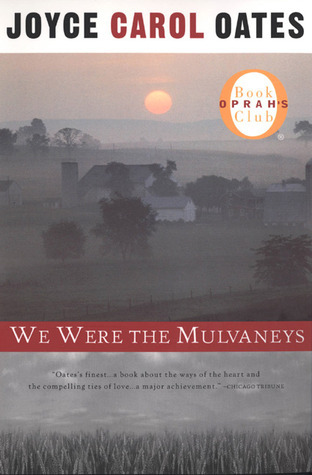 In We Were the Mulvaneys, Joyce Carol Oates achieves what few authors can - she makes you care about her characters at their strongest and brightest and then just as much at their basest, their cruelest, and their most broken moments.